You can read the following paper dealing with how we use the book to teach concurrency theory. A package with latex slides (including latex sources) used by Jiri Srba in 2005-2007 at Aalborg University in Denmark can be downloaded here. Please, read the file README.txt for further information regarding the use of the slides and the compilation of the files. A package with latex slides (including latex sources) with some pictures of timed automata and TLTSs from Part II of the book can be downloaded here. A LaTeX file with slides used for lectures on modal logics for timed automata can be downloaded here. 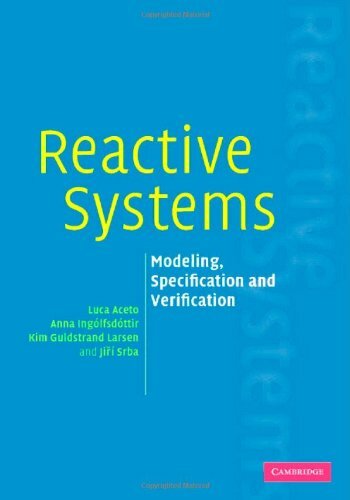 Reactive and Real Time systems. Seminar and course held at Tel Aviv University and Academic College Tel-Aviv Yaffo by Shmuel Tyszberowicz. 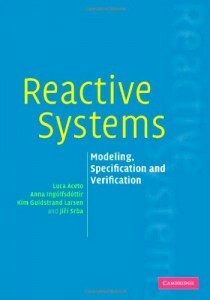 If you are using our book in your course, please, let us know about it. Thanks!